Construction on the second stage of a fiberboard panel factory was launched Wednesday in the northern province of Bac Kan. The MDF panel factory, located at Tam Binh Industrial Zone, is planned to consume 180.000 cubic meters of wood to produce 108,000 cubic meters of panels every year. MDF is a wood based sheet material, manufactured from wood fibers bonded together with a synthetic resin adhesive. 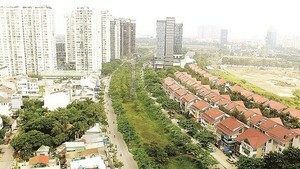 The project was invested by Sahabak JSC, which is a joint venture between four companies including Saigon Industrial Corporation, Bac Kan Forestry Company, Hanoi Construction Corporation and Saigon-Indochina Real Estate JSC. It is a co-operation between HCMC and Bac Kan. Invested with VND1,140 billion (US$54.7 million) and furnished with European equipment, the factory will be operational by the end of 2013 and expected to contribute around VND40 billion a year to the state budget and around VND500 billion a year to Bac Kan’s GDP. The first stage of the project for producing normal wood panels has been in operation for nine months, earning around VND4 billion and creating more than 200 jobs for local people.